The Ukrainian government has introduced the state of emergency in the war-torn south-eastern Donetsk and Lugansk Regions, and put all other territories on high alert, Prime Minister Arseny Yatsenyuk announced. "In accordance with the Ukrainian Code of Civil Protection, the Cabinet of Ministers has adopted a decision to recognize an emergency situation at a state level. The Ukrainian government has decided to impose the state of emergency in the Donetsk and Lugansk Regions," Yatsenyuk is cited as saying by Interfax-Ukraine. According to the PM, the move is aimed at providing the most efficient coordination of all government agencies in order to ensure civil protection and the safety of the population. The statement was made after the field meeting of the Cabinet of Ministers, which took place at the headquarters of the State Emergency Service of Ukraine in Kiev on Monday. Yatsenyuk also said that the state of emergency in the southeast will be overseen by a special government commission. It will be headed by the PM himself, with Deputy-PM Gennady Zubko and Emergencies Minister Sergey Bochkovsky being his deputies. Kiev’s troops and Donbass militia forces are locked in renewed hostilities in southeastern Ukraine after a shaky ceasefire reached by the sides in September utterly collapsed. Ukrainian forces launched a massive offensive in mid-January, but failed to gain any ground despite employing tanks, artillery and aviation. 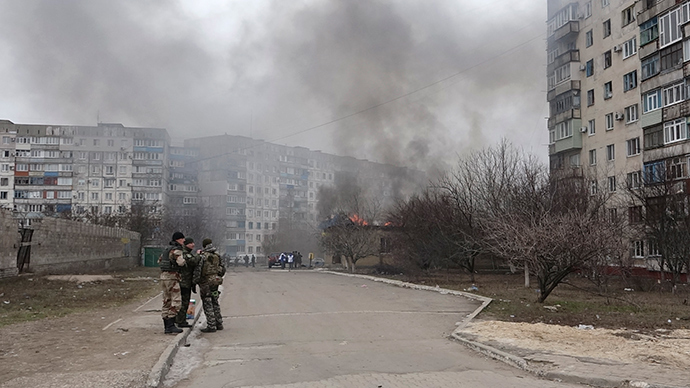 On Saturday, a residential area in the port city of Mariupol, which has remained relatively insulated from violence throughout the majority of the conflict, was shelled. The Kiev forces and the militias have been trading blame for the incident, which took the lives of at least 30 people and saw another 100 injured. Russia’s foreign minister, Sergey Lavrov, has blamed Kiev for trying to “derail the peace process” in the Donetsk and Lugansk Regions. "Time and time again, we’re seeing attempts by the Kiev authorities to solve the problem by violent suppression of the southeast. These are blind-alley attempts, leading to even more casualties among the civilian population," he said. Lavrov gave a reminder of an agreement to start withdrawing heavy weaponry reached at a meeting of the foreign ministers of France, Germany, Russia and Ukraine on January 21. Several days later President Poroshenko announced the renewal of warfare. “It would’ve been naive to expect that the militia forces will remain idle when on the Ukrainian president’s orders populated areas are being shelled … and come to term with the fact that they’ll be bombed out,” Lavrov noted. 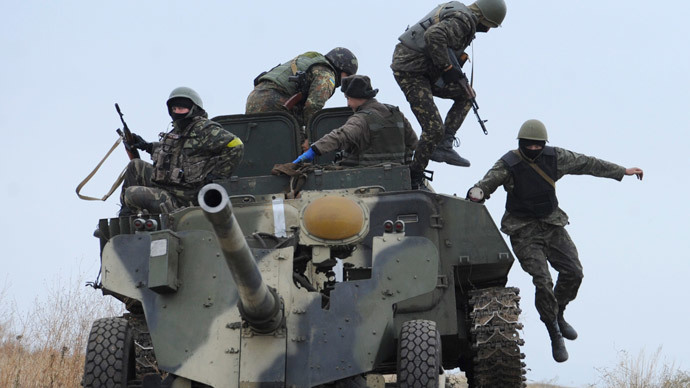 The Ukrainian conflict began last April when Kiev launched a military operation in the southeastern Donetsk and Lugansk Regions, after they refused to recognize the country’s new, coup-imposed authorities.